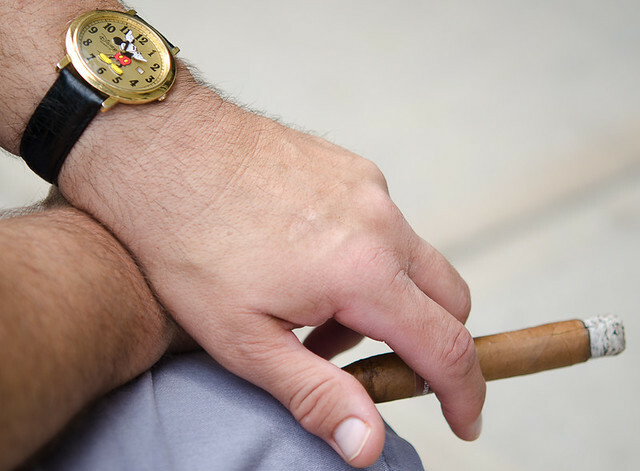 Cigar smoking is usually sought to be justified by some smart explanation but none are more eloquent than words spoken by certified cigar smokers themselves. These words of King Edward VII were probably music to the ears of many men who have been prevented from smoking by the ban imposed by Queen Victoria. This proclamation soon came right after his ascension to the throne. Edward reportedly smoked twenty cigarettes and twelve cigars a day. Spoken by Jack Nicholson in reference to his shift from cigarette to cigar smoking, it reflected his belief that the latter is a better and safer option than the former. Even if the view was not supported by the medical world, many hold this belief as true. Unfortunately, as far as the medical world is concerned, the safest level of cigar smoking is none at all. Spoken in true Mark Twain style, these words show just how much cigar smoking was part of his life , some say in the same level as his writing. He was described as the picture of a dedicated smoker. He was rumored to have started at 100 cigars a day at a very young age. He was unable to write without smoking cigar. He tried many times to quit but eventually gave up on the effort. He has also written an essay about tobacco. Coming from a much alive and kicking 98-year old George Burns, these words echo his triumph over his own doctor’s advice. Not everyone will be as fortunate as him though. It probably felt good for him to say these words. These were the words of Christopher Columbus prior to his discovery of tobacco from the American Indians. Teresa is a researcher-writer who covers a wide range of topics in search of useful information to offer to her readers. She currently maintains four personal blogs.